Kinston native Chris Suggs is fighting back against the six proposed constitutional amendments on the North Carolina ballot this fall because he’s no stranger to turning bad deals into better outcomes. In 2014, Chris met the poverty and violent crime hurting his hometown with opportunities for volunteerism. At age 14, he formed Kinston Teens — a nonprofit empowering young people through civic engagement and service. Chris is now a UNC-Chapel Hill sophomore, but his Kinston Teens are still making a difference, even leading ongoing efforts to assist Hurricane Florence survivors in the region. Arm-in-arm with Chris and thousands of North Carolina leaders like him, it’s our time to unite against legislative efforts to use fear and fictions to mislead and disenfranchise the voters of North Carolina. Today, we are launching the “By the People Campaign,” a coalition effort of nonprofits, grassroots groups, and community leaders, to educate voters about the harms of all six proposed constitutional amendments on the 2018 ballot and to help communities statewide fight back. The campaign commenced earlier today with a coalition press conference in Raleigh. This evening, a statewide educational tour will commence at 6:30 p.m. in Charlotte at the Midwood Cultural Center. The goals of this campaign are simple. We’ll do what politicians in Raleigh refused to: provide plain-language explanations of the intent and impact behind the dishonest “bad deal” amendments voters will see near the bottom of their ballots. 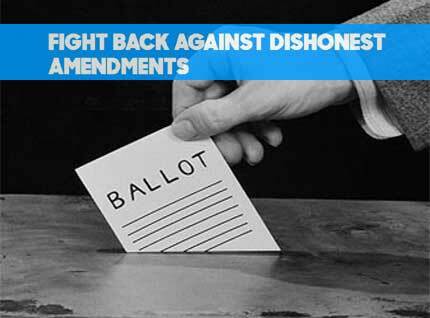 And, we’ll encourage voters to vote against all six amendments, and help turn these bad deals into better outcomes for North Carolina. After all, there are plenty of reasons to vote against the amendments. We know that politicians have drafted these amendments in a misleading way— they say one thing, but are lacking so much detail that they’re basically a blank check to fill in those details later. These amendments will attack checks and balances to allow lawmakers to appoint judges that will rule in favor of corporate polluters instead of protecting our air and water from chemicals like Gen X. These amendments will create partisan gridlock in our state elections board and jeopardize popular early voting. We know classrooms remain underfunded and natural disaster relief is often delayed and that these amendments will shift even more money from these public needs to permanent tax breaks for millionaires. And, finally, we know that these amendments would revive discriminatory voting restrictions that would allow lawmakers to exclude voters like Chris Suggs. It’s time we all understand our reasons to vote against these amendments, and to be clear that everyone in our state deserves better— no matter what you look like, where you live, or what party you support. 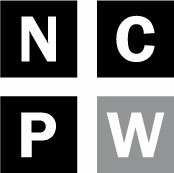 We urge all North Carolinians to learn more about these “bad deal” amendments and find out what they can do to stop them at bythepeoplenc.com. Melissa Price Kromm is the executive director of North Carolina Voters for Clean Elections. Tomas Lopez is executive director of Democracy North Carolina. Karen Anderson is executive director of the ACLU of North Carolina. They are part of the executive committee leading the By the People Campaign.